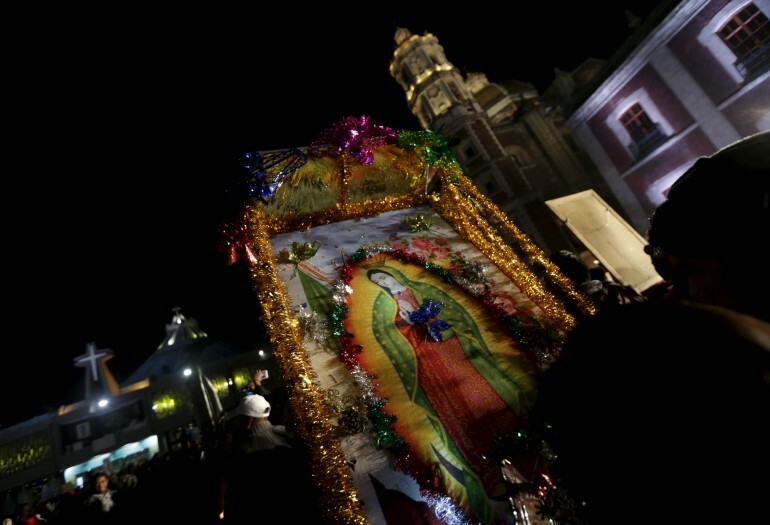 December 12 is the annual holiday for the famed Mexican saint the Virgen de Guadalupe. Thousands are expected to visit the basilica in her name located in Mexico City in order to celebrate the day many Christians believe the Virgen Mary appeared to Juan Diego. On Dec. 9, 1531 it is said that Diego, an enslaved Nahua native saw a vision of Christ's mother. The Virgin asked Diego to build a church on the Hill of Tepeyac near Mexico City. All Saints have miracles associated to them. In fact, it is a requirement that any candidate for Sainthood must have two miracles associated with them in order to be named a saint. In Mexico and throughout the world, the Virgen de Guadalupe has many miracles attributed to her. The first miracle is of course her appearance to Juan Diego in 1531. Another miracle associated with her is the cloak of roses the virgin made for Diego. There were some people, like the Spanish Archbishop Fray Juan de Zumárraga who did not believe Diego's story. Zumárraga told Diego to pray to the Virgin and ask for a sign to show his vision was real. The Virgin appeared to Juan Diego once again and instructed him to pick flowers from the top of Tepeyac. Diego climbed the hill but did not expect to find any flowers since it was late December and flowers weren't known to bloom in winter months. To his surprise Diego discovered Castilian roses, which the Virgin made into a cloak for him. Upon returning from the hill, Diego opened the cloak and the roses fell to the floor showing an image of the Holy Mother. The Virgen de Guadalupe is also associated with a number of miracles in recent times. In Texas, a university art teacher and her students drew a mural of the Virgen De Guadalupe in a large lot that was once a gas station. Since the mural was drawn, many people have said they have experienced miracles, including the professor who said that after painting the mural her car smelled like roses for days. A mother of one of the students helping on the mural prayed that her sick daughter would get better and when she did, the woman left roses near the painting. In June 2012 a fire destroyed a church in Mexico. The only thing that was left of the St. Augustin Chapel were stones and slabs from the building's foundation. Nothing within the church survived with one exception. Out of the blackened and charred rubble, a firefighter found a slightly singed portrait of the Virgen De Guadalupe. Many took the portrait's survival as a miracle and a sign that the Virgin was always watching over them. Rev. Gaytán from the church said while the miracle may not be literal, it was a symbol of the needs of parishioners during a time of grief.